Which Utilities Offer Time-of-Use Rates for Electric Vehicles? 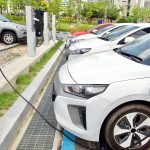 FleetCarma » Electric Utility » Which Utilities Offer Time-of-Use Rates for Electric Vehicles? Every recent study of plug-in electric vehicle (PEV) charge behavior agrees on one thing: the vast majority of plug-in drivers do nearly all of their charging at home—usually overnight. Utility companies prefer to encourage this behavior as much as possible. The more variance there is between peak and off-peak demand, the less efficient and more costly energy generation becomes overall. In some areas, excess generation of renewable wind power even forces utilities to incur costs from burning the energy off. As the EV market grows, any unnecessary daytime charging becomes increasingly costly to electric companies and their customers. Thankfully, both smart charging and the advent of the smart electrical meter now allow most utilities to incentivize power demand via Time-of-Use (TOU) rate programs. Not all utilities offer residential TOU plans though, and many others are only beginning to upgrade their meters. In some areas, consumers must pay out of pocket to install a smart meter in their home—usually wiping out any savings they may be able to expect from changing their consumption habits. Some utilities eagerly encourage TOU by offering free upgraded meters. Others amortize the cost by charging added monthly delivery charges for Time-of-Use customers. Based on a number of factors, power companies in different areas have taken different approaches to satisfying demand from PEVs and encouraging owners charge their cars during the day only when absolutely necessary. Some provide rate plans tailored specifically for EV owners, while others offer the same Time-Of-Use rates for all residential customers. Some offer special EV rates only for customers who install a separate meter for charging. In Texas, TXU Energy gives power away for free between 10pm and 6am. In Chicago, ComEd occasionally pays customers to use power under its variable hourly pricing scheme. Peak and off-peak hours vary depending on the season and geographic location. We compared the Time-of-Use plans offered by top electric utilities in the areas where plug-ins are most popular. If you don’t see your local electricity provider listed you’ll likely find an explanation of its electric vehicle or Time-of-Use policies on its website. Most utilities now offer some form of Time-of-Use plans to their customers—but plans vary quite a bit. Additionally, some utilities have begun implementing smart charging programs. Smart charging is the intelligent charging of EVs, where charging can be shifted based on grid loads and in accordance to the vehicle owner’s needs. The utility can offer EV owners monetary and/or non-monetary benefits in exchange for enrollment in a program that permits controlled charging at the times when curtailment capacity is needed for the grid. The result is a much more consistent/flattened load profile. Almost there: please complete this form and click the button below for instant access. Download the “How Smart Charging Works” infographic by entering your email below. *smart meter photo courtesy of Christian Haugen. Zach McDonald has covered alternative fuel vehicles and energy policy for the last eight years, after moving from his native New York City to California. He has resolved that if we must drive we should at least be intelligent about it. 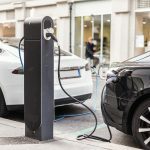 Will Additional Public Charging Infrastructure Improve EV Adoption?